serious air cooled press is an all-in-one solution for splicing thermoplastic conveyor belts (e.g. PVC PU PVK). 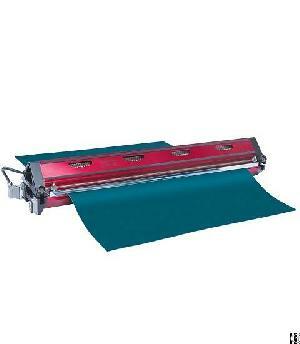 This splicing press vulcanizing machine No external control box, air pump, or water cooling tank are required. The HOLO presses are provided with electric heating and built in air cooling. The splice process runs fully automated. Size PA300 PA600 PA900 PA1200 PA1500 PA1500H PA1800H PA2100H are available for now. Splice times as short as 8-12 minutes. All-in-one unit with no external components . Two dwell levels of temperature for thick belt . Flight Case included for storage and easy tranport to on-site work. Press stand and extension cable is option for efficiency in the fabrication workshop. Company Name: Wenzhou Honglong Industrial Equipment Manufacturing Co., Ltd.